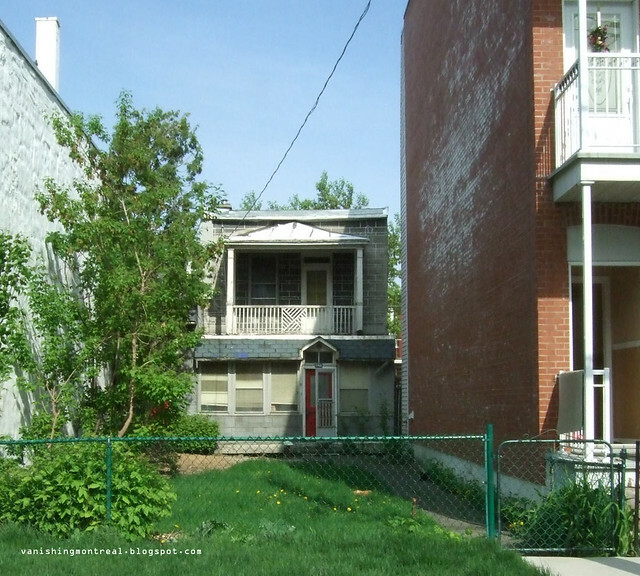 Montreal is dotted with many small quirky old houses that go against the grain of the surrounding architecture that's made up of mostly duplexes and triplexes. They are always fun to find and I've been collecting a bunch of photos of such houses and I will be posting them from time to time. I took these two yesterday in Verdun. 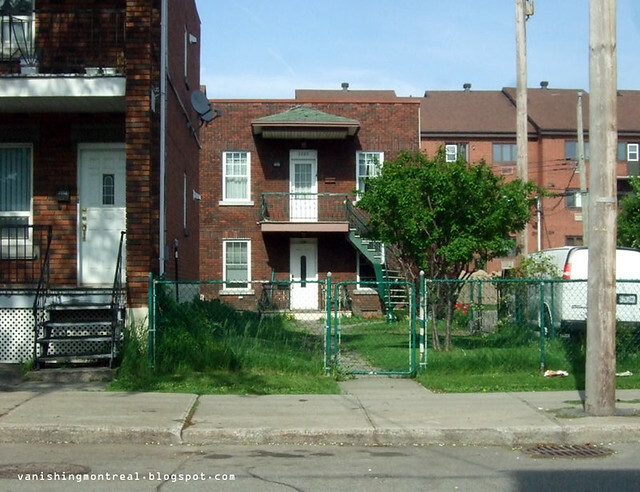 These houses are quickly disappearing (see the following post below) and are being replaced with condos/apartments building as these houses have larger than usual lawns and entrances, which makes it just right for new projects looking for much sought-after land on the island.